If you’re trying to figure out how to make extra money on the side (and who isn’t? ), it can be hard to know what’s legitimate and what’s a total waste of time. We’ve done the searching for you and found 30 ways to make extra money in your spare time. And you can use these ideas no matter what Baby Step you’re on! If you think being a tutor means you made straight A’s through high school and college, think again. It’s all about what you know and how well you know it! Online tutoring companies like Tutor.com, TutorMe and Studypool hire tutors to share their expertise with students on a wide variety of topics. Just make sure you proceed with caution when deciding which tutoring gig to take. Some of the users on these on-demand tutoring sites are really just looking for someone to write their essay or do their homework for them. Use wisdom when sifting through the postings. 2. Become a user experience tester. Every business hopes their website is informative, helpful, hitting their main objective and oh yeah, making money. But if something isn’t working, the business needs to know why, and a lot of them call in user experience testers to give feedback. 3. Take surveys to make money. 4. Get cash back from apps. There are plenty of mobile apps out there that can show you how to make extra money just by doing simple things. We’re talking really, really easy here—like “grabbing your phone and scanning your receipt” easy. Check out mobile apps like Ibotta, Ebates, Shopkick, Receipt Hog and Dosh to score some extra cash without too much work on your part. 6. Get paid for your creative skills. You’ve got the creative skills but just have to connect with someone who needs your awesome work. Why not freelance in your spare time with Fiverr? The site connects freelancers specializing in writing, editing, graphic design and voice-over work to clients needing those creative minds in their corner. You’ll create a profile (almost like a résumé) that potential employers can scan to check out your experience, rates and specialties. Get ready to let your creativity flow! 7. Get paid for your photos. Are you a shutterbug? Do you have photos of gorgeous sunsets and perfectly staged lattés cluttering up your camera roll? You can make extra money for your photos without having to be a professional photographer. Foap will pay $5 for every picture someone purchases from you. 8. Drive for Uber or Lyft. Of course, the amount of money you make depends on your location and how often you cart people around. So if you have a free Saturday every now and again, you might want to spend it as a glorified taxi exploring your city and getting paid for it. 9. Become a food delivery driver. 10. Join a focus group. If you like sharing your opinion, why not get paid for it? Check to see if there’s a local focus group you can sign up for in your area. You could earn cash just for giving your thoughts on things like taste tests or product comparisons. Just make sure you fit the demographic they’re looking for before applying. If you love the thrill of shopping but don’t want to spend your own money, this might interest you. With Shipt, you get paid to shop and deliver groceries to clients through their on-demand service. According to the company, their shoppers make anywhere from $16 to $22 an hour! (2) Getting paid for shopping? Sign us up! One of the easiest ways to make extra money is to babysit for a couple nights a week. And it might be easier than you think to land a gig. Most parents are always eager to have a date night! But sometimes finding a qualified sitter they trust can be tricky. Let people in your friend group, church and workplace know you’d be happy to watch their children in your spare time (they need to pay you, of course). And if it’s a little awkward for you to spread the news by word of mouth, you can always sign up for a service like SitterCity or Care.com to help you land some babysitting jobs. 14. Advertise on your car. File this one under both super weird and the ultimate definition of the phrase passive income. The app Wrapify will pay you to drive with a business advertisement wrapped around your car. Once the car is wrapped, you really don’t have to do anything except drive like you normally do. It sounds strange, but it’s actually pretty lucrative: The more you drive, the more you’ll earn. Wrapify says the average person who does a full wrap on their car makes about $264–$452 a month. (4) If you’re paying off your car loan, that’s a car payment right there! 15. Do tasks for people. If you’re just trying to figure out how to make money on the side with quick fix-it jobs or running errands, TaskRabbit might be your best bet. You can do all kinds of things from yard work to assembling furniture. This is the perfect way to make extra money if you like to tinker with things—you, MacGyver, you. There’s nothing quite like getting a package delivered to your front door, especially when it comes from Amazon. Everyone loves Amazon, so why not spend a few nights a week driving around town bringing people joy? Sign up to deliver packages with Amazon Flex and set your schedule for as much or as little as you want to work. 17. Turn your commute into cash. Between commuting to work and driving the kids to soccer practice, most of us spend plenty of time in our cars. So why not make extra money while you’re riding around? With Roadie you can get paid just for driving a package (or even a pet!) from point A to point B along your route. And check your area for apps that reward you for carpooling around town. Here in Nashville, we have Hytch, which lets you earn cash for each mile you carpool with one or more people. 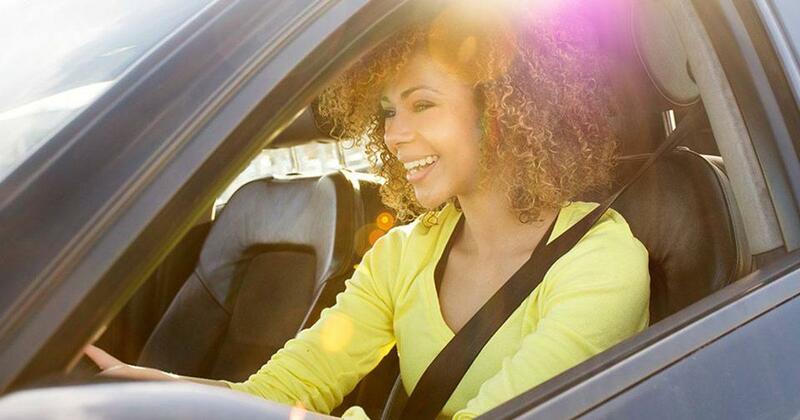 You’re already driving into work each day, so why not get paid for it too? Check the going rates for sessions in your area and consider setting your prices a little lower to stick it to your competition. Let’s say you make $75–$100 a session. That can add up pretty fast! 19. Take up car washing/detailing. If you’re a major car enthusiast, this might be a natural fit for you! And you probably already have the tools you need. It’s amazing how many people are eager to pay someone else to do things they don’t want to do. You can even make the business mobile and meet your customers wherever they are! If you’ve got something to say, chances are people might read it! The great thing about a blog is you can focus on nearly any topic you want to. If you’re a great cook, do a food blog. Or maybe fashion is your true love. If you’re passionate about fitness and nutrition, start a health blog. Just be prepared with this one. You can definitely make good money with a blog . . . but you can also end up making next to nothing. Okay, maybe that’s extreme. But you get the idea. Using things like Google AdSense or affiliate marketing and even becoming a brand ambassador or influencer can really impact your readership and the cash you make. 21. Start your own business. 22. Ask for a raise/get promoted. This one is going to take some guts, cowboy. But if you don’t ask, you’ll never know, right? Just make sure you go in with a game plan. Set aside some time to talk to your boss about all the wins you’ve brought to the company this year. Don’t just go in asking for more money. Back up what you’re asking for with results that prove it’s justified. If your company only dishes out raises and promotions once a year at review time, be aware of that too. Make sure you’re doing what you can to grow, engage and get results in the meantime. If you have a spare bedroom or can stay with your in-laws or friends on short notice, you might want to consider renting out your home on Airbnb. Let’s say you decide to rent out your upstairs guest room and bathroom. Here in the Nashville area, you’d have a monthly earning potential of $1,041. (5) Not too shabby at all! But what about the risks of opening up your home to strangers? Airbnb offers accidental damage coverage on your home (up to a million dollars of coverage, to be exact). They also offer host protection insurance just in case a guest gets hurt while staying on your property. While Airbnb doesn’t screen each individual guest, they do let hosts and guests rate each other. That way you can feel more at ease about who you’re letting into your house. 24. Rent out your car. And don’t worry: The company covers your vehicle with $1 million of liability insurance as well as theft and damage coverage. So let your renter hit the open road while you sit back and count the money they just paid you. Vroom vroom! 25. Get rid of old movies, music and electronics. 26. Rent out your baby gear. Sift through your hall closet, attic and garage for everything you don’t use anymore. What can you live without? Of course, you can always sell items on eBay and Craigslist. But don’t forget about apps like LetGo, VarageSale, Poshmark and thredUP that make it even easier to make extra money by selling secondhand stuff. 28. Sell your children’s clothes. 29. Sell your unused gift cards. Aunt Betsy gave you a PacSun gift card for Christmas and you’ve never even set foot in the place. Instead of letting the gift card collect dust, sell it! Websites like Raise let you sell your unwanted gift cards and make a little kickback off of them. After all, every gift card deserves a loving home, doesn’t it? Okay, we already talked about renting out your home, car and even your old baby items. What else is there? Oh, only everything else. The popular renting company, Fat Llama (we know), lets you rent out nearly any of your belongings! Some of the in-demand items are camera equipment, projectors, lighting, and audio equipment. So if you’re a photographer, videographer or just a tech-gadget-lover you might make a good amount. But remember, you can rent out nearly anything—even your lawn mower. . . or tractor. . . or scooter. Who knew! Try a few (or all 30) of these and see if you can generate a nice little chunk of change. Then use that extra cash to hit money goals like paying off debt, saving up for your emergency fund, or putting a little extra toward retirement. You might be pleasantly surprised at what you can do with a few extra dollars in your pocket. No matter how you decide to bring home extra money, having a budget is essential for reaching your goals. Get our free budgeting tool, EveryDollar, to track exactly where all of those extra dollars are going.